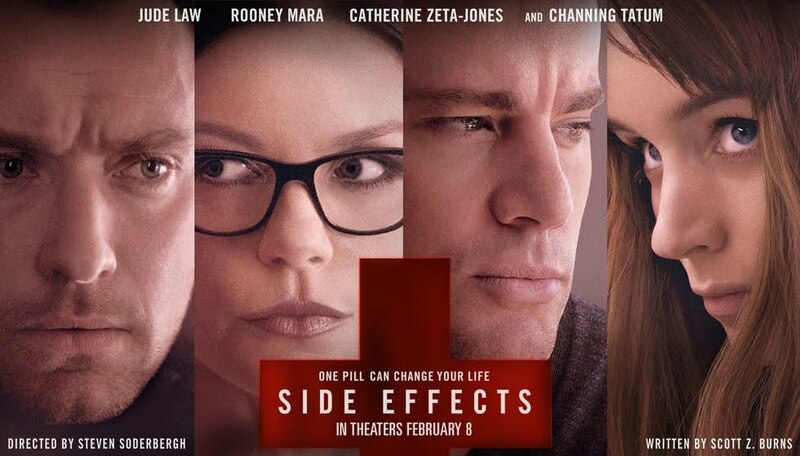 Side Effects – I will be able to buy you a new shirt. Warning: May cause anxiety, paranoia and death. 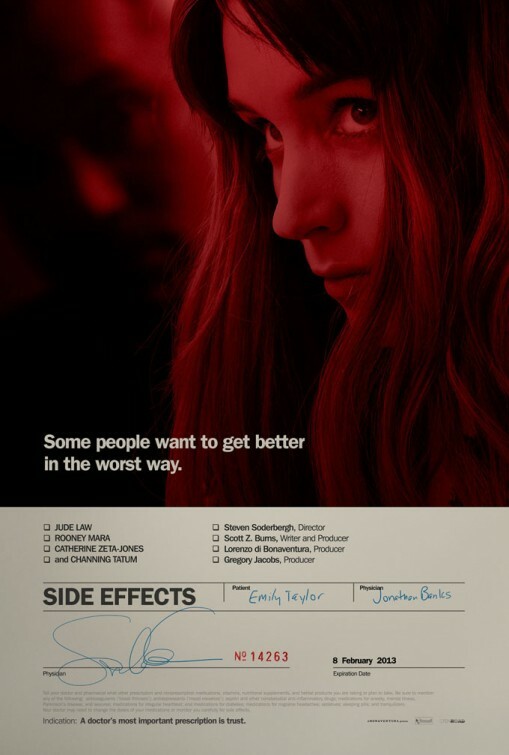 The film is directed by Steven Soderbergh. It will hit theaters on February 8, 2013. 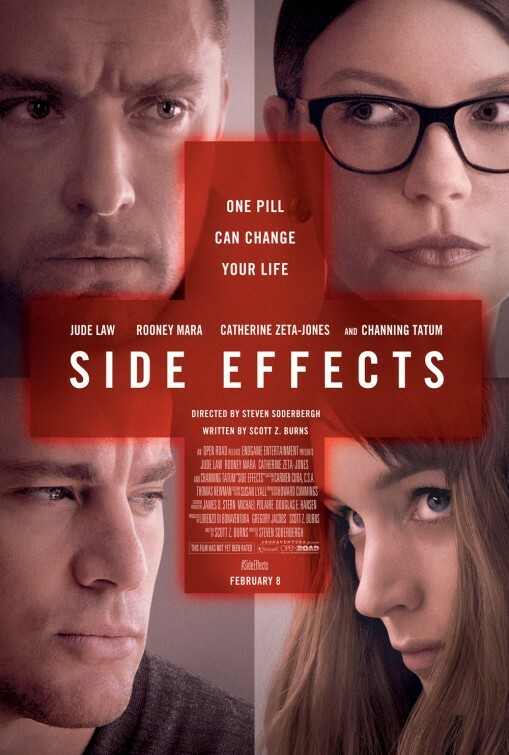 Beware of drug side effects! The film will hit theaters on February 8, 2013. Looks like a twisted story! The film will open in theaters on February 8, 2013. 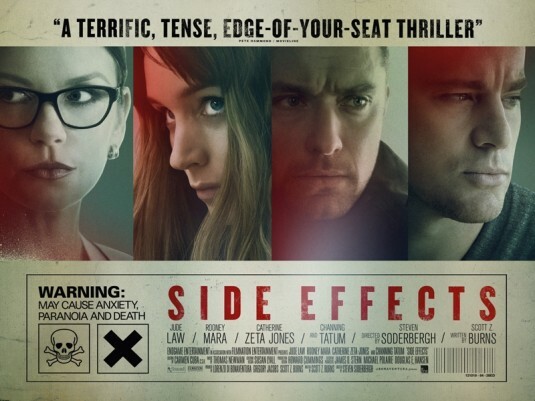 Anyway, the release date of Steven Soderbergh’s Side Effects is set for February 8, 2013.